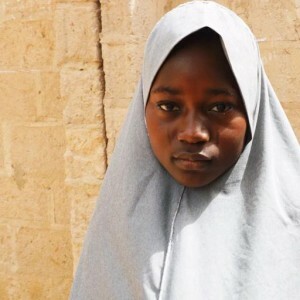 On 19 February 2018, militants arrived in trucks at the Government Girls Science and Technology College in Dapchi, Nigeria, wielding guns and abducting scores of girls. After a delay in releasing the precise number of schoolgirls taken, 110 were declared missing. The return of 105 of the girls after one month in captivity brings welcome relief. But this wasn’t the first incident of its kind. Repeated attacks and mass abductions at schools in north-eastern Nigeria are a stark reminder of the insecurity in the region that robs many children, particularly girls, of an education. Nigeria has 10.5 million children not attending school, most of whom are in the north. Sixty percent of these northern Nigerian children are girls. Issues including child marriage and a low perception of the value of girls’ education among some parents have for a long time negatively impacted on girls’ education. Achieving inclusive and equitable quality education by 2030 is goal 4 of the 17 United Nations Sustainable Development Goals. Adopted in 2015 to guide the global development agenda, each goal has corresponding targets and indicators to measure progress. Under achieving quality education, target 5 is aimed at ensuring equal access to education (gender parity). This target deserves emphasis for two reasons: first, the need to reverse the low ratio of girls to boys in schools; and second, the integral role that girls’ education plays in predicting overall macro-economic growth. Mass schoolgirl abductions by the terror group Boko Haram in north-eastern Nigeria are a major impediment to achieving this goal. The name Boko Haram, loosely translated as ‘western education is forbidden’, is exemplified by their strategy of attacking schools where western-style education is taught. While Boko Haram’s attacks have not spared schoolboys, girls are doubly affected. Attacks on schoolgirls not only deter western education generally, but single out women and girls for discriminatory treatment. The implications of Boko Haram’s strategy are particularly serious when it comes to achieving equal access to education in Nigeria. The gender gap between boys and girls attending school in the north-east of the country is already large. For instance between 2010 and 2015, only 75 females for every 100 males finished senior secondary school. Attacks on girls’ education in a context where their school attendance has historically trailed behind that of boys makes achieving gender parity even harder. In the aftermath of their return to Dapchi, the schoolgirls appear to be caught in an education battle. On the one hand, the Nigerian government insists the girls must resume school in Dapchi. On the other, Boko Haram has threatened to re-capture the girls if they return to western-style schools. Meanwhile parents have declared that their children will be relocated to schools outside Dapchi. Schoolmates of the kidnapped Dapchi girls are scared to return to classes. ‘No matter what security is put in place,’ said one pupil, ‘I honestly don’t think I can go back to this school.’ In the end, the abductions are seriously disrupting pupils’ education and could even mean the end of their schooling for some. Hard security measures to protect schools have been established, but are plagued by obstacles. The Safe Schools Initiative was started after the Chibok abduction to protect schools in three north-eastern states. However this was only in place from 2014 to 2016. Since the Dapchi abduction, boarding schools in Borno state situated outside the capital Maiduguri have been closed indefinitely and police have been deployed to guard all public schools. However concerns about disruptions to education and police capacity to provide adequate security remain. Many schoolgirls affected by Boko Haram’s attacks attend classes in camps for internally displaced persons. But poor infrastructure in the camps hinders access to adequate sanitation and quality education. There are also efforts from institutions like the American University of Nigeria to fill the gaps caused by attacks on north-eastern schools. Such efforts include creating schools for affected girls and providing trauma counselling. However, these schools lack the capacity to address the entire problem. There are no simple solutions to achieving inclusive and equitable quality education by 2030 in Nigeria. But some key steps can help secure schoolgirls in affected parts of the country. The Nigerian government should tighten security in schools in north-eastern Nigeria for as long as Boko Haram remains a threat. The international community should direct funding and resources to understanding and responding to the specific needs of schoolgirls inside and outside camps for internally displaced persons. Local elders should work with civil society organisations to counter Boko Haram’s anti-education campaign by sensitising communities to the need for girls to receive quality education.